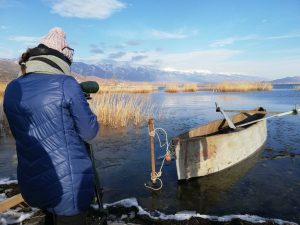 For ten years now, on the weekend of 12 and 13 January 2019, MES employees and volunteers conducted bird counting on Macedonia’s three natural lakes, also including adjacent water reservoirs and wetlands. 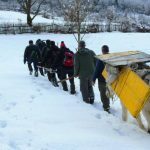 Despite the biting cold, the teams’ weather-defying spirit and enthusiasm made an enjoyable endeavour out of the International Waterfowl Census (IWC) in Macedonia, resulting in a total count of as much as 25.000 birds on Ohrid Lake and Prespa Lake, and round 6.000 birds on Dojran Lake. These small numbers can be a reflection to the rather mild winter weather conditions in the abovementioned locations, in comparison to the previous years. 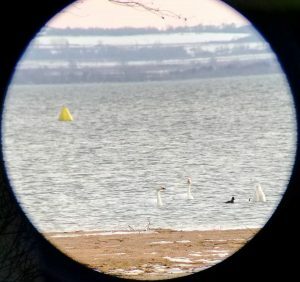 Apart from the rather small numbers, several rare, truly arctic species were spotted, like the Tundra Swan and the Red-breasted Goosander. The International Waterfowl Census is the largest volunteer waterbird census with a long-standing tradition ever since 1967. 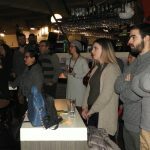 Led by the Wetlands International and in cooperation with numerous local organizations, this event has become the much needed source of information, pivotal to creating policies on wetland management and protection.